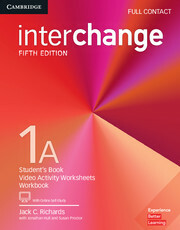 Passages, Third Edition, is a two-level, multi-skills course that will quickly and effectively move adult and young-adult learners of English from high-intermediate to the advanced level. 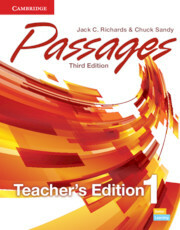 The Passages, Third Edition interleaved, spiral-bound Teacher's Edition with Assessment Audio CD/CD-ROM, Level 1, features complete teaching instructions, audio scripts, language summaries, video activity worksheets and teaching notes, along with the complete Student's Book and Workbook answer keys. The Assessment CD/CD-ROM provides a complete and flexible assessment program, including oral and written quizzes, as well as all tests in editable and printable formats.